This is my first scope and I picked it up for about $50 total. The picture in the auction below shows a trace but when I got it, I'm not having so much luck. When I turn it on I get a red power light and it is otherwise perfectly silent, no sound, no HV hiss. I've got pretty good hearing though. I can normally here the high pitched sound of a muted TV from another room. I turned the intensity up all the way and still nothing. I fiddled with the knobs and switches and when I was about give up, I turned it off and the screen did a quick green flash. I turned it back on and got a trace that traveled about 2 divisions, made a slight pulse of about 2 divisions tall, then another that was 1 division tall and then one that was about .5 divisions tall and then blank. This all happened in about 1/5 of a second. I turned it on and off 3 or 4 times and could occasionally get the blip to repeat. I fiddled with the knobs and switches again and now I can occasionally get 1 dot to appear for about 1/4 a second stationary, then travels about 2 divisions to the right in about 1/2 a second then disappears. I'm not familiar enough with scopes to know if this is indicative of a specific failure or something else. 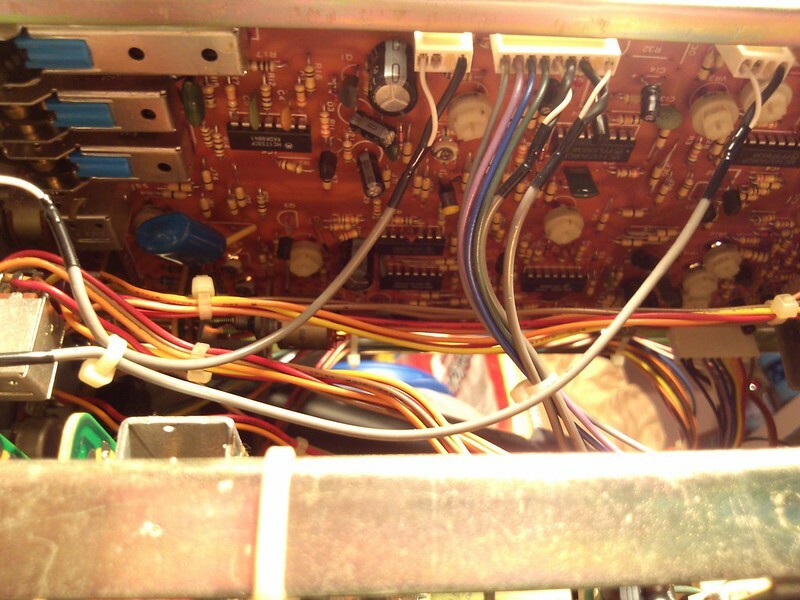 I took the lid off and found a 4 pin cable going to the main board that looked about half cocked. I pressed it down but it didn't change anything. I have the manual with schematic if that helps. I'm going to try to make a video once I can get enough light. These 60W equivalent CCFL lights in my apartment aren't very good for filming. I was filming a video with my phone just now. I'm uploading it to youtube and will post in a few minutes. If I flip between AC and TV I can get the dot to crawl again pretty much consistently. I don't have any probes yet so I can't do a whole lot. I'm going to try a needle in the center BNC and use an alligator clip over to the calibration connector. when I connect to a test point hooray! 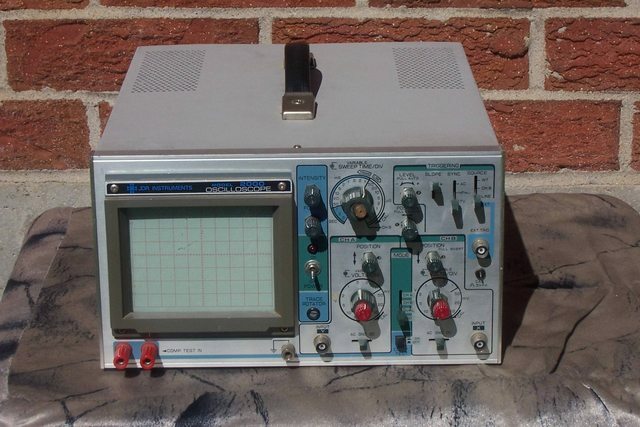 Just found out that this unit was also sold under the Elenco name. I sort of like the panel coloration better, it really makes it easier to understand for a novice like me. The main thing I see different is the metal overlay and a toggle switch vs a push button on mine. Not quite Won Hung Lo, but apparently also Hung Chang OS-620. So have you popped it open yet to see if you can tell who really made it? I briefly had it open when I thought it wasn't working. But didn't want to disturb it too much in case I needed to send it back. 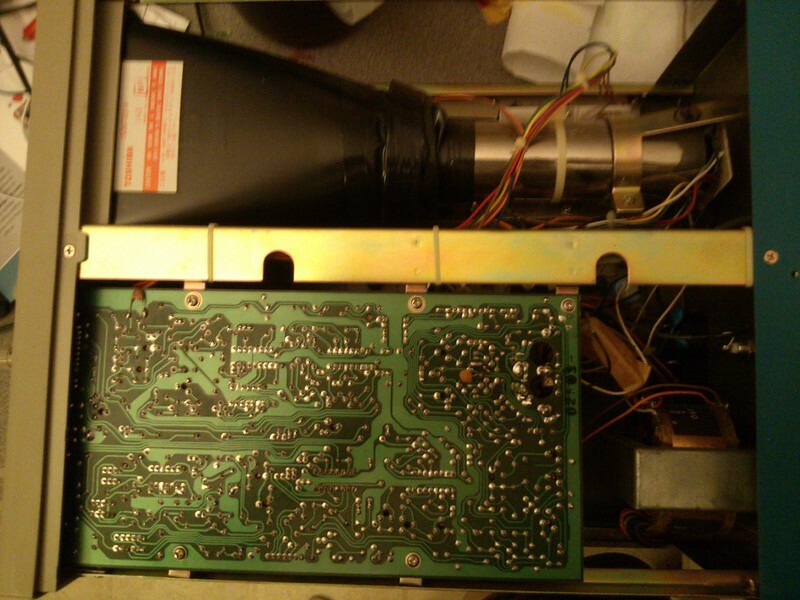 I do plan on taking it apart again tonight and poking around inside. I'm guessing it is Korean in origin because Hung Chang was a Korean company from what I could gather on the RadioMuseum website. But yes I'm very interested in finding more on this. I was surprised how much this thing looks like a cheap stereo inside. All single sided through-hole. The chips were pretty much all TI, Motorola, RCA and some National Semiconductor. The only identifying thing inside was the word OAK on several places underneath the CRT. I remember Oak Technologies used to be a video card company but their logo wasn't like this one. The big caps were labeled Samyung. 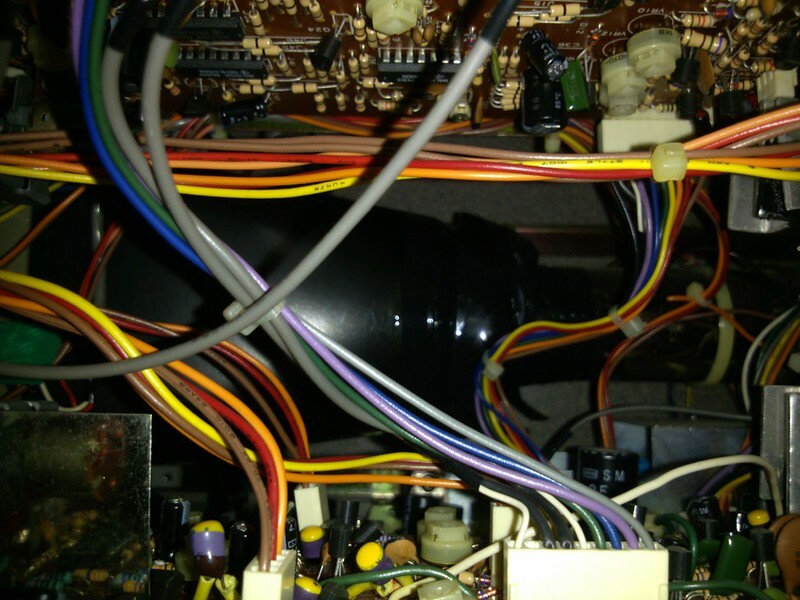 And on the 2 low voltage boards all of the TO-220 parts were mounted inside a plastic plug, similar to the cables. 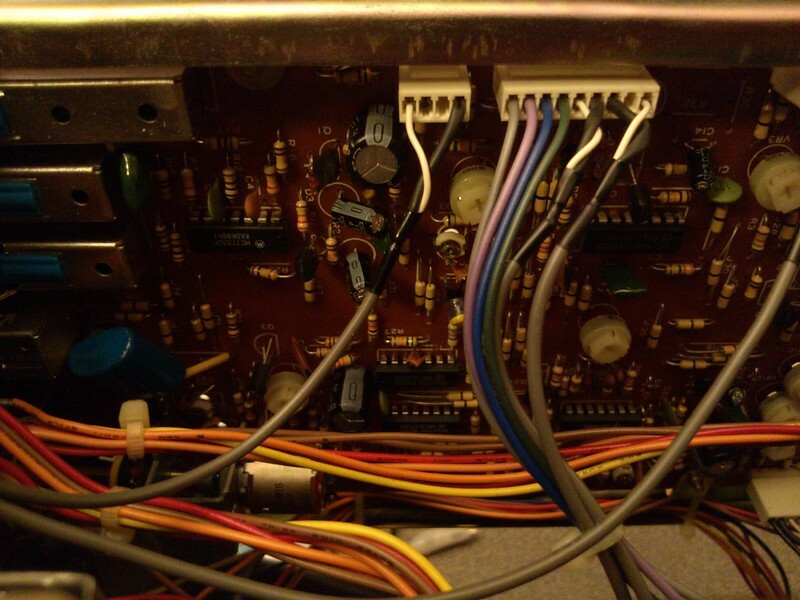 Wow, look at all those resistor-shaped jumpers. 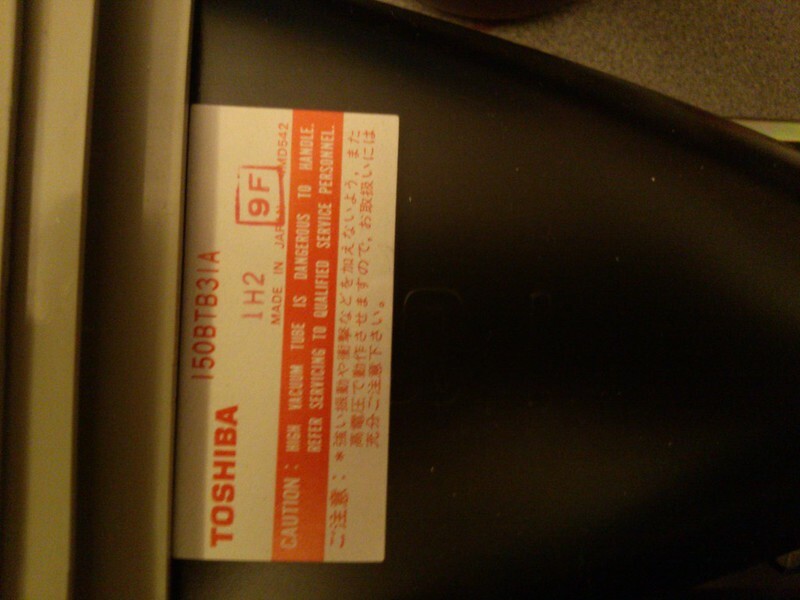 The only date code I could almost read on the ICs looked like it said 1988. 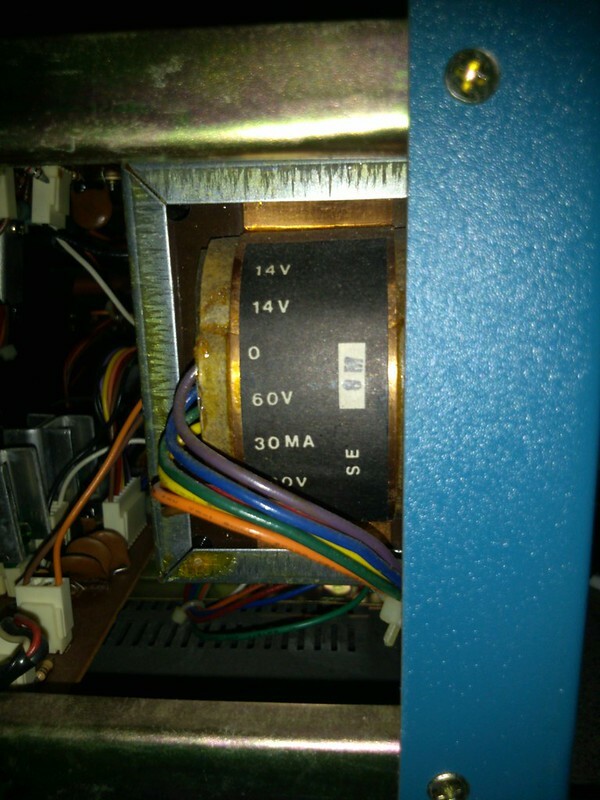 Nothing on the silkscreen except component labels? Huh. 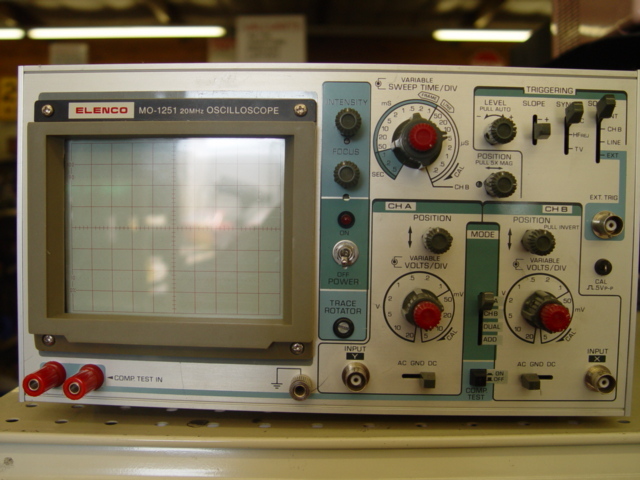 One of the cheapest-looking scopes I've seen the guts of. 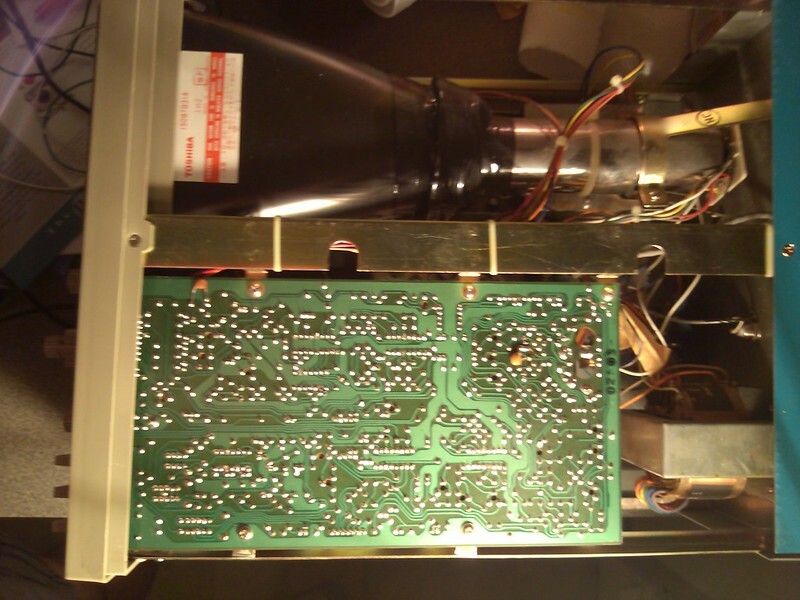 I have a Tenma 72-730 which looks very similar inside (the circuit boards are definitely different though) that being said they are identical in quality (or lack thereof). These things would be simple to repair because there isn't a custom IC anywhere that I can see. It's 100% discrete parts and easy to find DIPs. My best guess on the manufacturer is GoldStar (now known as LG). 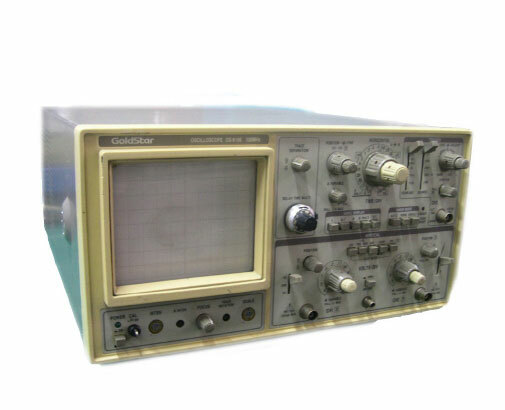 This is hinted at by the Made In Korea but it also shares some design features with GoldStar oscilloscopes. 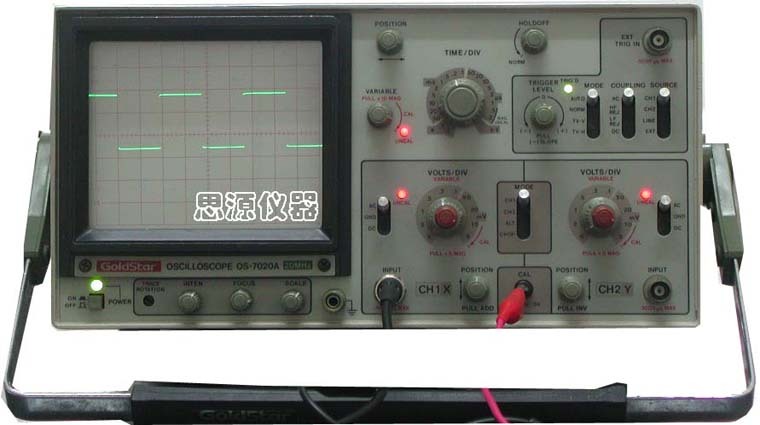 Namely the look and shape of the knobs, some models have the same knobs but just in different locations (note this is easy because most knobs are attached to the board with flying leads). The back of the unit has a Z axis input, IEC plug, 4 way voltage thing like most scopes seem to have and says "Made in Korea" and 08 89. But I did find one chip inside that had 1389 under the part number so I guess the cases were labeled before the boards went in. Yeah, it honestly reminds me of the inside of an old Radio Shack boom box I had as a kid. 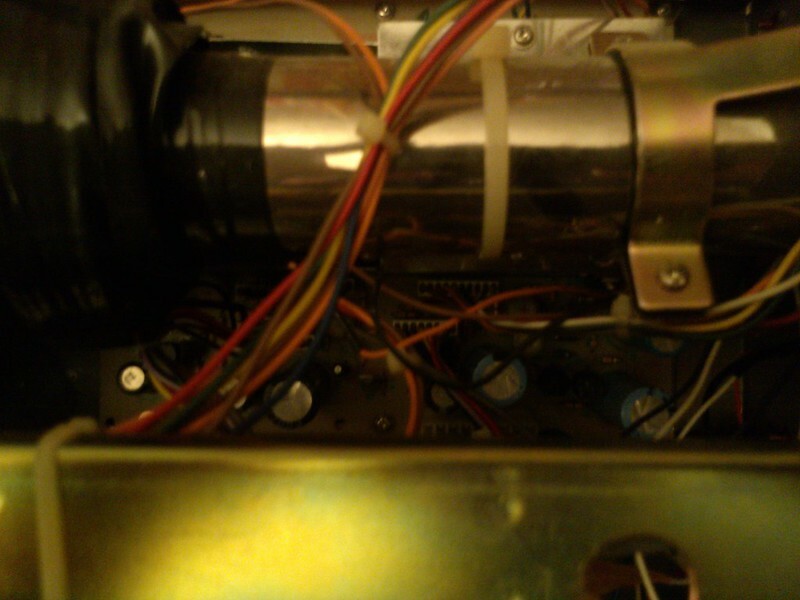 There is a shielded are which I didn't get a picture of underneath the tube that was loaded with bright blue MOVs or maybe capacitors. Hmm.... I see the possible GoldStar connection. The GoldStar I had was made a lot better, though. Still single-sided PCB and whatnot, but it actually looked pretty well organized. I did heavily scrutinize at least a dozen Goldstar scopes for that very reason. So many similar design elements. Goldstar too I think had an OS-620 model but it looked nothing externally like mine. Perhaps still the same guts, just different front layout. Aside from the switches yes, I'd say every part inside was purely off the shelf. All the TI and Moto stuff was 74 and 4000 series. 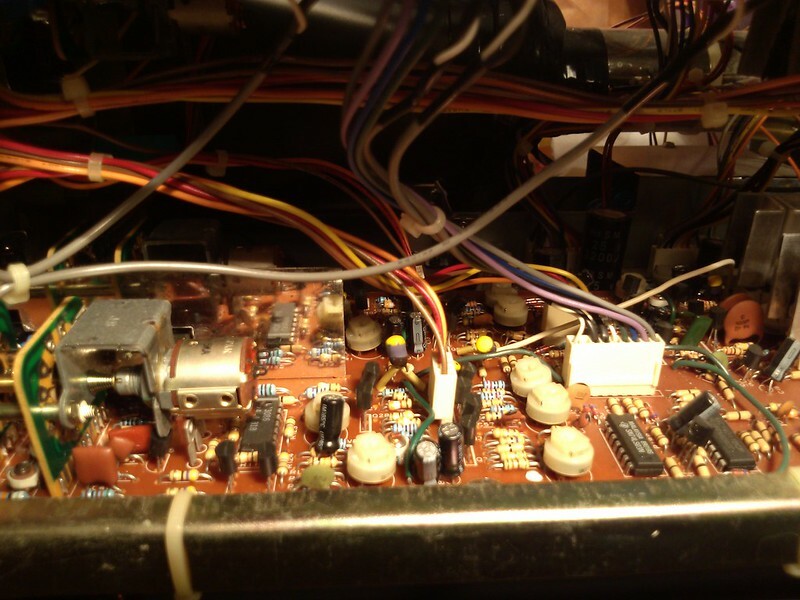 I didn't bother to look up the RCA chip near the front but I'd be willing to guess it was an amplifier. 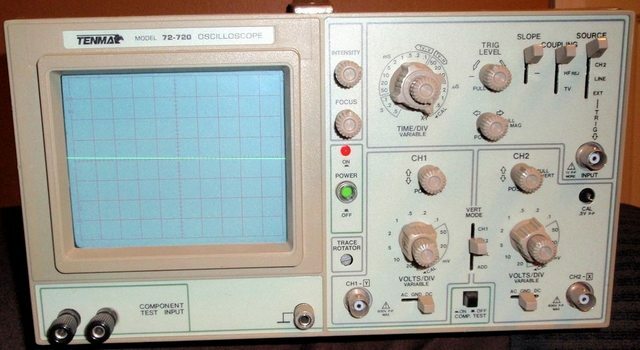 I found another one mentioned a Kiotto OS-620. 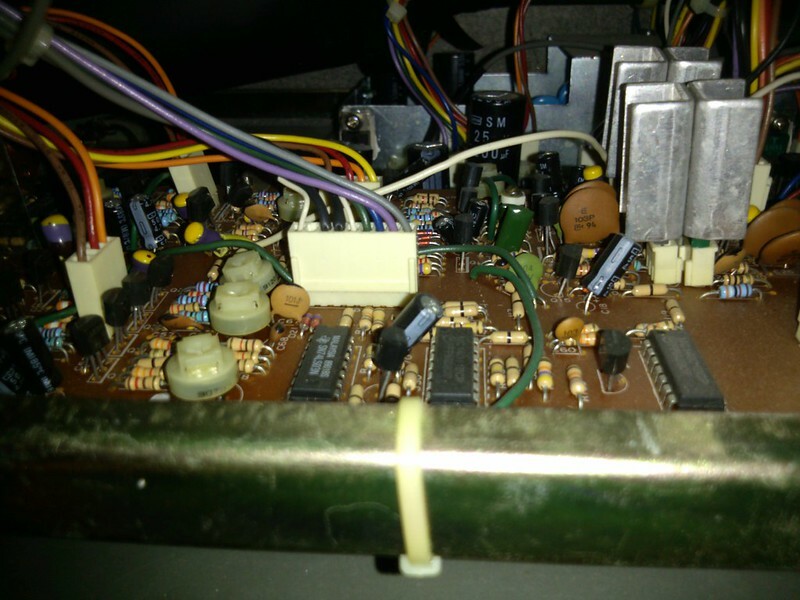 I'd lay odds that these are a modified Goldstar OS-7020A. Basically, reorganize the knobs a bit and add the component test feature. For example move the display knobsfrom the bottom to the side (to make room for the component test). 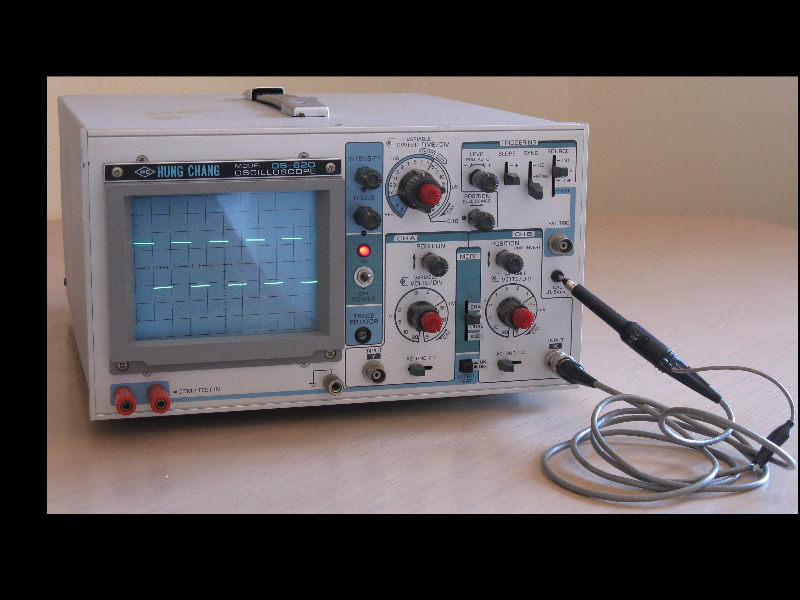 OMG this HAS to be the ugliest oscilloscope EVER! Any ideas on these grey and yellow parts? Does your Tenma scope look like this? 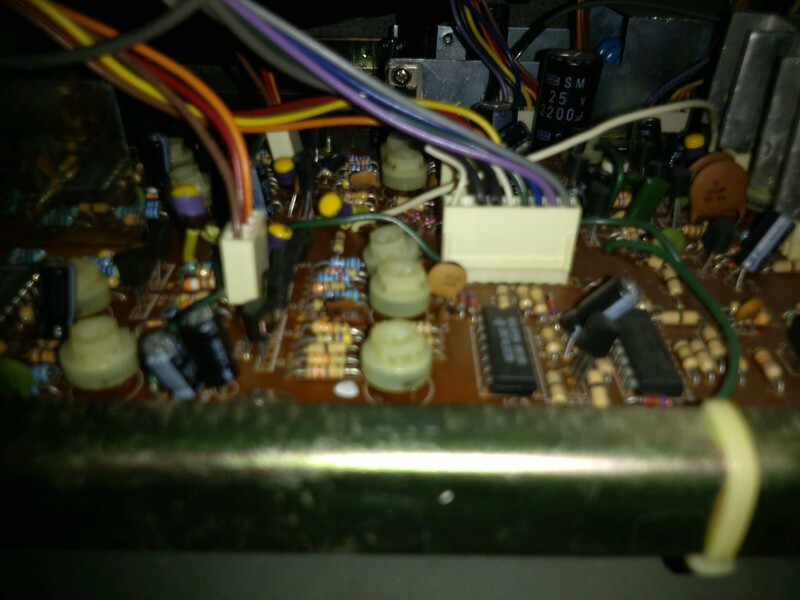 I was guessing ugly capacitors, maybe tantalums. Yeah my Tenma looks identical. Those might be capacitors but I also noticed what looked like dipped inductors on my board (which were weirdly colored). 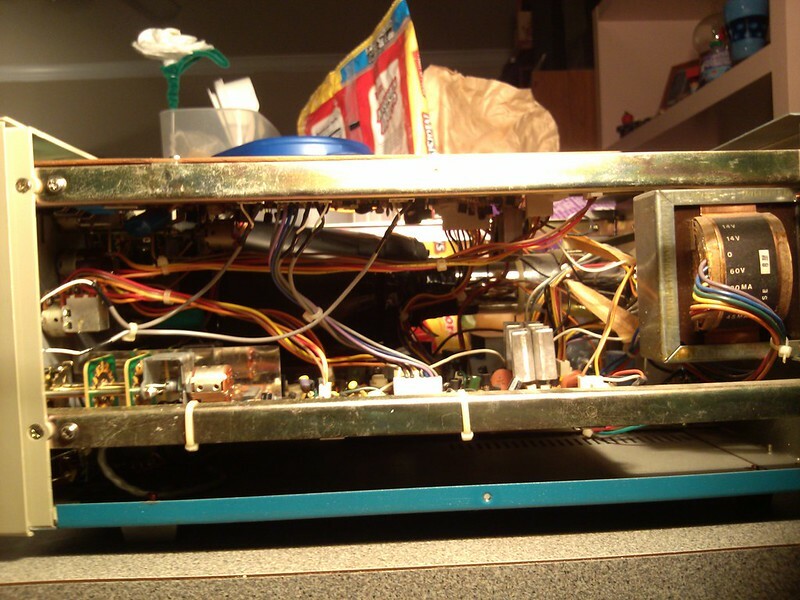 I can't tell for sure from your pic though I'm leaning towards capacitors. I see you marked your knobs... I'm going to end up doing that too. I can't see which one is the pointer easily. I have one in black under the B&K name.